So far my trend posts have been focusing on clothing, today we will showcase a key trend for your feet this summer; the Flatform sandal. Last year the wedge sandal was big, and the Flatform sandal is influenced by this, however, has it's own style and more distinctive look. Many women find that the Flatform sandal can be more comfortable to wear as your foot is relatively horizontal compared to when you wear normal heels, however the solid platform may take some practise wakling round the house if you've not worn anything like this before! The platform sandal comes in all shapes and colours, with some having more of a gradient than others. 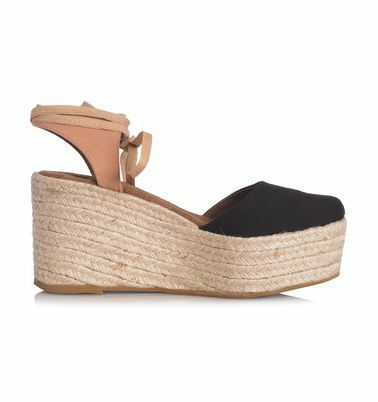 Hobbs have updated the summer classic, 'The Espadrille' by combining it with the flatform trend, bringing it right up to date, yet maintaining a classic British feel. 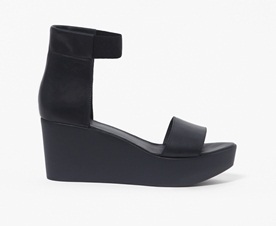 COS have created a slightly 'sheeker' look, with their all black take on the Flatform Sandal. 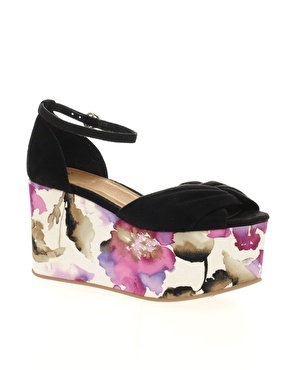 Finally, ASOS have included the floral trend with their version of the Flatform sandal and added a decorative design to the Flatform itself.